Ever since computing went mainstream in the mid-1990s, the CPU has become synonymous with computational performance. It defined the capability of a PC, with clock speed followed by core count as the criteria people looked to first to identify performance levels. This was natural at the time. The CPU was the brain of a system, a multifunction processor specifically designed to perform a lot of tasks effectively. It was optimized more for function and cost, and less for power efficiency as the desktop PC revolution gathered steam. Fast-forward 20 years and silicon design has changed dramatically, helped largely by the rise of the smartphone. The quest to deliver performance in a compact, thermally efficient form factor, coupled with increasingly diverse and sophisticated application demands have enabled chip design to develop significantly beyond the CPU. The CPU is still important in smartphone design, but it's just one component alongside the graphics processing unit (GPU), digital signal processor, image signal processor, modem and RF front end in a highly integrated and optimized system-on-chip (SoC). Tasks no longer need a multifunction CPU and instead use the processor that's most appropriate. Machine learning algorithms will rely extensively on the GPU, with a sensor hub processing data from a host of sensors, such as an accelerometer or gyroscope. This approach isn't unique to mobile. The GPU has become associated with machine learning algorithms, demonstrating much greater efficiency than the CPU. This continues to advance as application-specific integrated circuits emerge, including Google's Tensor Processing Unit, designed specifically for the TensorFlow framework for machine learning. 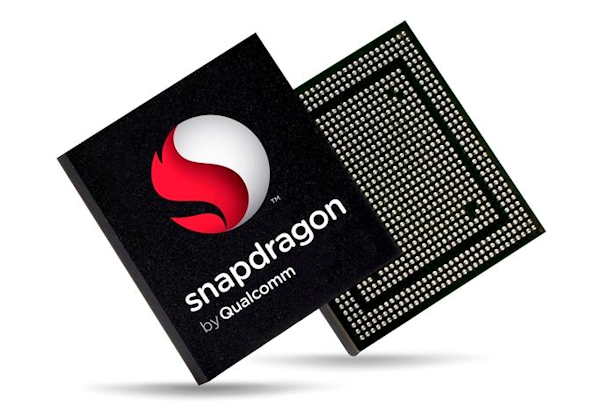 In this context, Qualcomm's decision to position its Snapdragon SoCs as platforms rather than processors is logical. "Processor" suggests a single piece of silicon. Snapdragon and mobile SoCs generally have evolved beyond that, aggregating multiple processors, modem, software and services in one chip. The term "platform" has become widely associated with Android and iOS. In the same way that these mobile platforms are the building blocks for applications, SoCs form the basis for the hardware, software, applications and services that mobile operating systems enable. Although its approach is a logical marketing move, Qualcomm faces the challenge of forcing a perception change. Placing emphasis on SoCs, multiple processor types, and heterogenous computing is complex. The CPU wins by simplicity. It's also extremely difficult to test or benchmark a platform or system. The launch of products using the Snapdragon 835 processor has sparked a flood of benchmark comparisons. CCS Insight tested the processor and it achieved consistently high scores, particularly for graphics. However, the relevance of these comparisons is questionable; they're all flawed in that they only address a small number of parts that make up the platform, and often by imposing artificial demands on the system. Connectivity is perhaps the best example of this flaw. It's almost impossible to consistently test modem performance because of network variation. Subsequently, connectivity is often forgotten in benchmark tests despite its importance to the user experience. The early emphasis on the CPU as a measure of performance was largely thanks to the PC, which is now going through a radical change to an always-connected, always-on device. Ironically, it's perhaps the evolution of the PC, and not the smartphone, that holds the key to convincing people of the importance of platforms over processors.